Carlo Francesco Defranceschi is a composer and multi-player. Grown within a musical background (his mother was a French contralto singer), Carlo Francesco attended the Conservatoire “Giuseppe Verdi” in Turin where he took both a Composition, a Piano and a Clarinet Diploma with honours. He also attended some Contemporary Composition Masters in Mantua, at the local Conservatoire. He improved his musical education thanks to a National Specialization Master to refine his jazz technique in Busto Arsizio. While he was carrying out his musical studies, Carlo Francesco also graduated in Philosophy with theoretical and logical-mathematical orientation at the University of Turin. He has been rewarded in several International Composition Contests. Since the academic year 2006/2007, he is a music master at the Conservatoire ‘Lucio Campiani’ in Mantua and, currently, he works together with conservatoires and music schools in Lombardia, Veneto and Sicily. Moreover, Carlo Francesco sometimes gives his contribution to a well-known record company and in 2011 some of his compositions were broadcast by the Russian National Radio. His contemporary music compositions for the piano, classical guitar, wind and string ensembles have been recorded by famous performers. According to the Jazz Italia Notes magazine, in 2006 his quartet was placed fifth in the Top Ten of the Italian Jazz Groups. 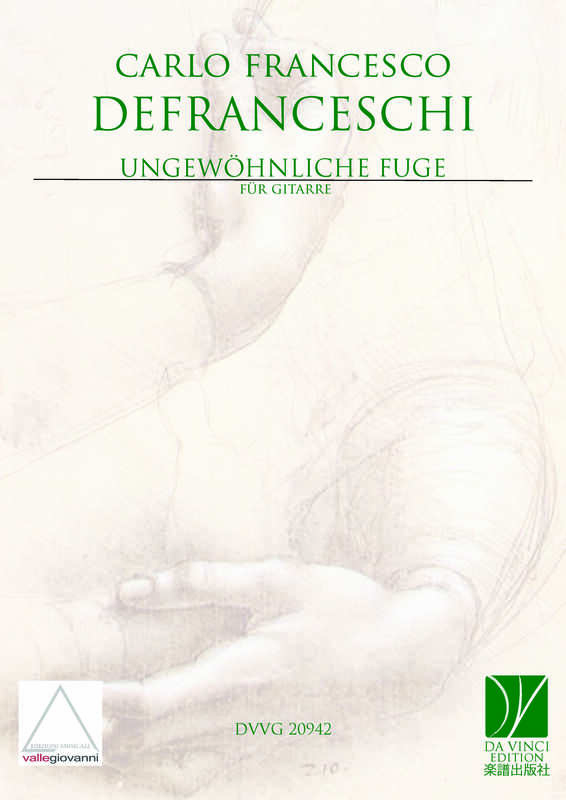 Carlo Francesco Defranceschi’s musical works include scores for the piano, harpsichord, organ, guitar, voice and piano, choir, wind ensembles, quartets, quintets, sextet with strings and orchestra.